God is an idiot, anyway. God doesn’t exist. 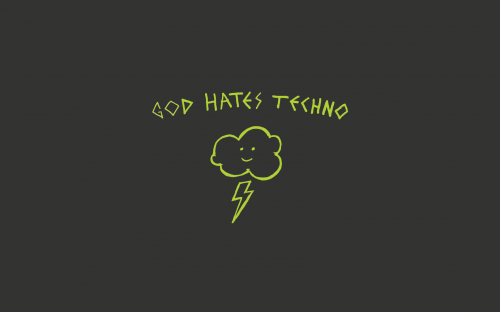 So how can God hate techo? If anything there are multiple Gods and they all love techno. I’m w/ God on his one. @Cocozin: Shut up, no I’m not. @Nimbo: FSM made man and pornstars made machines and it was productively fail. @Mootea: Incorrect, Hades liked Aphrodite and Persephone. Also just because I mention many Gods doesn’t necessarily mean Greek/ Roman Gods.